This 40-day journey is for you. And it might surprise you. What if I told you that God hasn’t hidden His purposes for your life from you? What if I told you life didn’t have to be so exhausting and heavy and confusing all the time? What if I told you God has given you everything you need to live out the calling He has placed on your life right this minute as you read this? 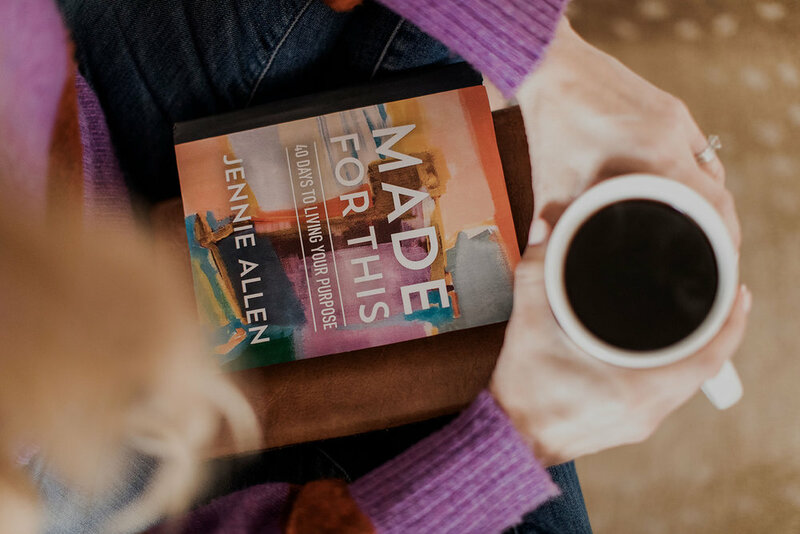 On February 5th, Made for This: 40 Days to Living Your Purpose goes on sale and I wrote it for you. It’s full of Scripture, space to journal, and exercises to help you see the people and places God has given you. It’s a tool for you to use in your small groups or walk through it alone. I wanted this to be simple and helpful. So come on! Maybe this is the year you stop questioning why God placed you where you are right now and start experiencing more of Him. I promise it will be the adventure of a lifetime. It certainly has been for me. P.S. If you pre-order your copy today and submit your info through this link, I’ll send you the first 7 days FREE to get started! Here’s some of my life. I love to share parts of my life and tell stories about what God is teaching me. Let’s connect on Instagram!